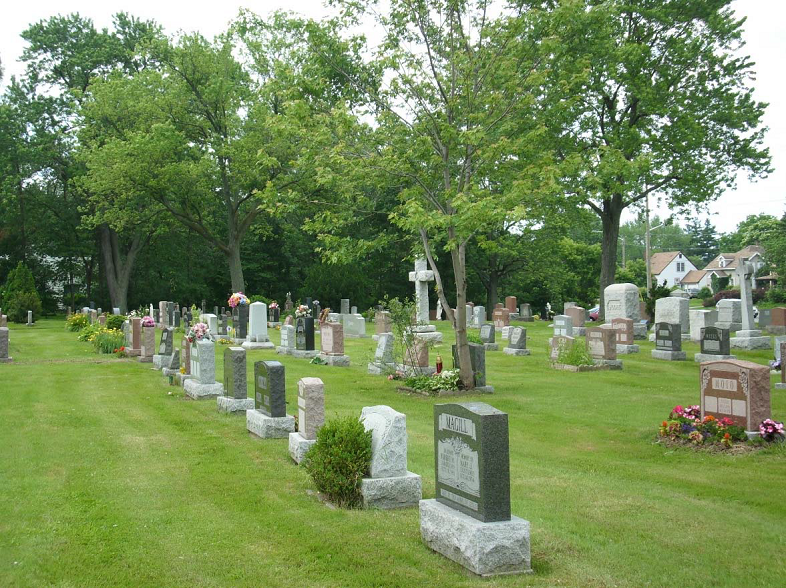 Woodlawn Cemetery and Doan’s Ridge Cemetery are owned and operated by the City of Welland. What will a cemetery plot cost? Please refer to our current fee schedule. Right of Interment is based on prime residency at the time arrangements are made for both preneed and at-need. What is the maintenance care fund? A portion of the price paid for the Right of Interment is contributed to a maintenance care trust fund or perpetual care fund. Income from the care fund is used to provide regular care and maintenance at the cemetery in perpetuity. Regular care and maintenance activities can include: cutting grass, regrading of graves, planting and caring for trees and gardens, maintenance of water supply systems, roads, drainage, etc. The minimum amount to be contributed to the endowment care fund is governed by provincial law. What happens if I purchases a plot/grave but don’t want it anymore? Can I resell it? A Right of Interment can be surrendered back to the City only. It cannot be sold privately. A refund equal to the purchase price, less the Care and Maintenance Fund contribution and H.S.T. will be issued back to the Interment Right Holder or designate. You will receive a Right of Interment, not a deed. When you purchase a Right of Interment you are in fact purchasing the right to either have your own remains or those of someone you designate interred in a specific location, rather than purchasing the grave itself. The land and control over that land remains the property and responsibility of the cemetery. You also acquire a right to place a memorial, subject to the City of Welland Cemeteries By-Laws. How many cremated remains are permitted on a full burial lot? As outlined in the Cemetery by-Laws each full burial lot can accommodate one casket and four cremated remains. Each individual represented on a grave site will require a Right of Interment and should be kin to the original occupant. A full burial lot can be used for cremated remains only, however, the first Right of Interment will be the fee of the full burial lot.